A 104-foot-tall turbine proposed for the bay shoreline would benefit only one business. Critics worry that other businesses will want turbines. Nearly every evening, Lula Tsegay, with her five-year-old son in tow, walks the scenic trail along San Lorenzo Creek that stretches from behind her home at the Heron Bay housing development to protected marshlands along San Francisco Bay. She purchased the home thirteen years ago for the area's calming beauty, she said. But a controversial proposal by a nearby green technology firm to erect a 104-foot-tall wind turbine has angered Tsegay and many local residents. While San Leandro is attempting to rebrand itself as a hub of clean tech, critics of the wind turbine say Halus Power Systems and its owner Louis Rigaud are less interested in green energy than in saving greenbacks. After an eventful public meeting in June, featuring Rigaud, city staff, and dozens of angry homeowners, Tsegay said she was so upset — and resigned to the fact that the turbine was going to be built — that she rushed the next day to refinance her home before its value plummeted. Vanessa O'Connor, who owns a home down the street from Tsegay, was blunt about her feelings regarding the wind turbine being in the line of sight of her upstairs bedroom. "Bottom line is: We don't want it," she said. The Heron Bay development is tightly packed with houses and has little room for views other than of a next-door neighbor's home. O'Connor said one major reason she purchased her house was because it did not abut someone else's backyard. But now it might be near a large windmill. 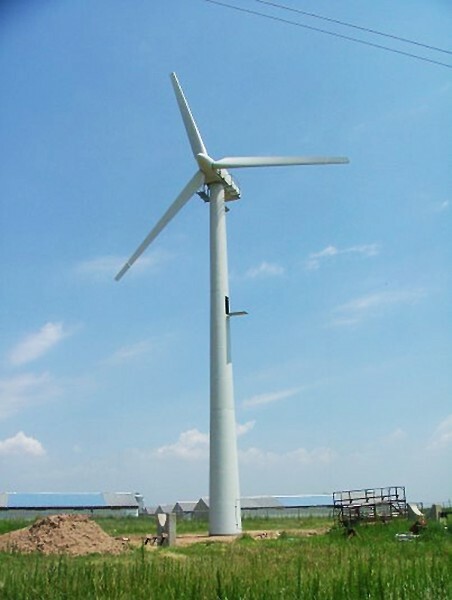 In many ways, the city is responsible for much of the anger and controversy over the wind turbine because of a lack of transparency and outreach to the residents at Heron Bay. City officials, in fact, have admitted as much. Rigaud, whose business refurbishes old wind-turbine parts, began discussions last January with the city for a single 104-foot-tall wind turbine on his property. However, his business is in an industrial zone that limits structures to no taller than sixty feet. As a result, he needs a zoning variance from the city. Following an environmental impact report that Rigaud funded, the city's planning department found the proposed wind turbine would not have significant impacts on the environment. As required under the California Environmental Quality Act, a less stringent environmental study, known as a mitigated negative declaration, was prepared and a thirty-day public comment period commenced in late May. However, many residents, along with members of the Heron Bay Homeowner Association board of directors, were not notified until days before the end of the comment period was to end. City officials contend that they were only required to notify residents within a three-hundred-foot radius of the proposed wind turbine — which amounted to just four homes. "We did what was required," said San Leandro Planning and Housing Manager Tom Liao. "But we are aware that generated — understandably — anger, and the homeowners let us know it." Ultimately, the city extended the comment period. 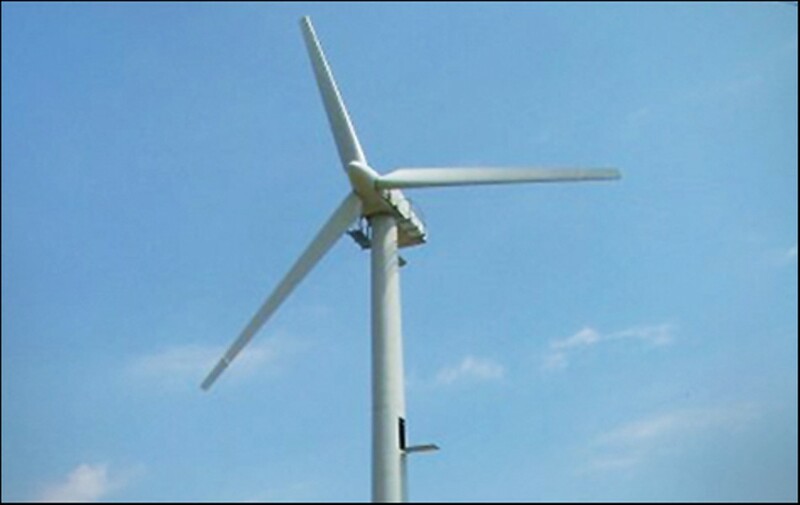 As homeowners criticized Rigaud and city staff during a June public meeting, some mistakenly believed the wind turbine was a done deal while others assumed it was a city-backed proposal. As suspicions rose, Rigaud acknowledged to the group that his proposal stemmed from a desire to lower his company's energy bills. To critics of the wind turbine, his comments did not jibe with other statements he has made or those made by some city officials and proponents of green-tech firms at the city's chamber of commerce, who have contended that companies like Rigaud's are exactly what San Leandro needs to compete in the new economy. "He wants to save $1,000 a month and it really isn't beneficial to the community," noted Benny Lee, the president of the Heron Bay Homeowners Association and candidate for the area's seat on the city council. According to Rigaud, his wind turbine would only attract enough wind to spin, at best, about a quarter of the day and produce around fifty kilowatts of power for his business — and so would not be able to provide clean energy to anyone else. However, Heron Bay homeowners noted that Rigaud recently suggested to a local television news station that energy from his wind turbines could be used in other parts of the city. As such, critics question how one 104-foot-tall turbine that only benefits a single business can represent San Leandro's "green" future. Rigaud's proposal also is sparking concerns that other residents and businesses will seek to build tall turbines along the city's shoreline or in other areas of San Leandro. Moreover, the proposal raises questions as to whether tall wind turbines are suitable for urban areas. Traditionally, wind farms have been built in rural areas of the United States. Some members of the Heron Bay Board of Directors also say the city's study of the impacts of the wind turbine are unspecific and fail to answer key questions about the effects on people living in the shadow of the turbine and safety hazards in the event of a mechanical malfunction. The group also objects to the environmental report's conclusion that the wind turbine won't have much of an impact on birds. The report asserted that the wind turbine likely would only kill one bird every 6.5 years. However, wind turbines elsewhere routinely kill far more birds, and critics of the study say that city policy erroneously puts the spinning turbine in the same category as cell towers and other stationary poles. In addition, there are no references to the well-known effects of wind turbines on humans, opponents contend. Stress and headaches from the sound of whirring turbines and the light-flicker effect of the blades cutting the sunlight have been reported in other places. Rigaud admitted at a public meeting this summer that those ailments can occur from wind turbines, but said his single monopole is too far from residents to have any of those effects. Rigaud declined to comment for this article. Fred Simon, another Heron Bay board director, has been vocal about forcing Rigaud to come up with a costly, but more detailed, environmental impact report to study these issues before the city Board of Zoning and Adjustments hears his proposal later this year. Rigaud has resisted ordering an EIR for the project and has told city-planning officials that the high costs, potentially as much as $100,000, would wipe out his small business.